With George Brown College once again opening their doors to the Toronto game dev community we had a good amount of space for the arcade. 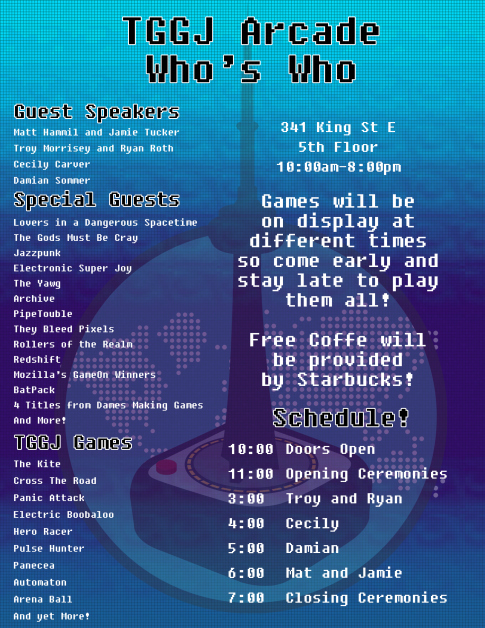 So we asked several local organizations and indie developers to get involved…turning it into a SUPER ARCADE! 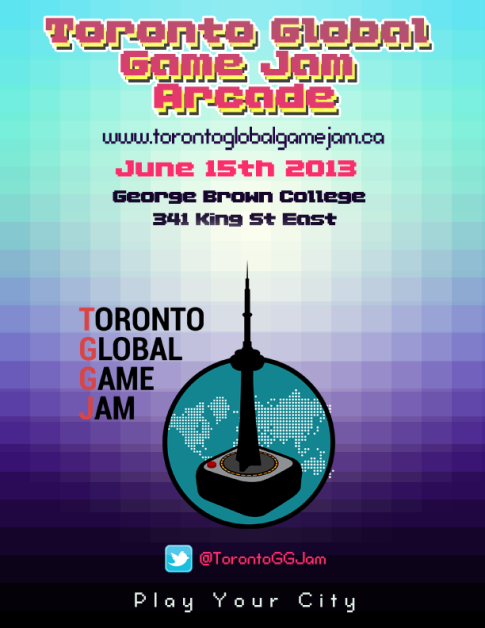 We wanted to showcase game jam games and their creators along side of some of the amazing games coming out of Toronto. Each game developer will have the time to interact with people playing their games. We asked some great local game jammers to speak at the arcade. With 30+ games being showcased its hard to talk about any one game at the event. However we are really excited to give the game jam games a platform where developers get to experience players enjoying their games…something we feel is important.